Kia has already made the announcement that it plans to introduce autonomous driving technologies by 2020 and a fully autonomous car by 2030—and it seems to be right on track. Earlier this week at the 2016 Consumer Electronics Show (CES), the Korean carmaker introduced a new sub-brand for its autonomous driving technologies. While the introduction of autonomous technologies comes as no surprise, seeing as Kia recently received its license to test self-driving technology in Nevada, where the CES is held, the sub-brand is a glimpse into the future. 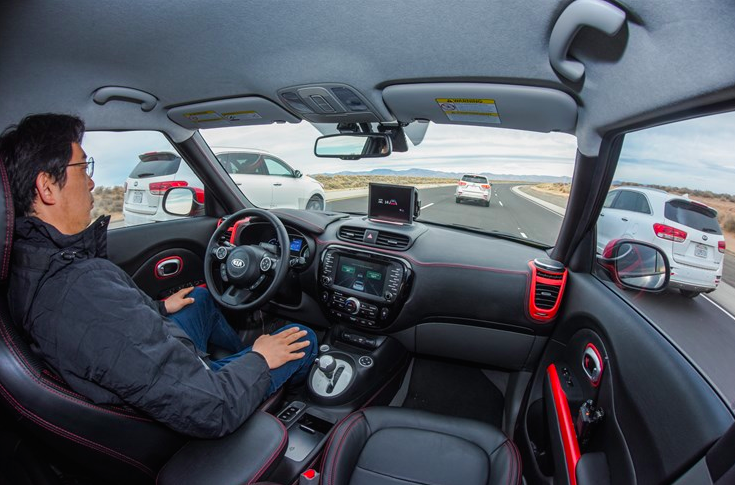 The brand, called “Drive Wise,” showcase Kia’s new Highway Autonomous Driving with lane-changing and overtaking capabilities. It will also show consumers the Urban Autonomous Driving that allows Kia’s vehicles to respond to traffic updates. Other technologies include a Preceding Vehicle Following system, which is similar to Volvo’s Auto Pilot program, and an Emergency Stop System that monitors the driver’s face and pulls over to the side of the road if the driver removes his eyes from the road for too long. As if these great technologies weren’t enough, there is even a Traffic Jam Assist system, and Autonomous Valet Parking. Kia is still developing all of this technology, preparing to make it ready for its consumers. There are no specifics yet on which of the tech will be available on production models first—or which model will be the first to get them—but we hope to learn more about the brand’s next big step soon.